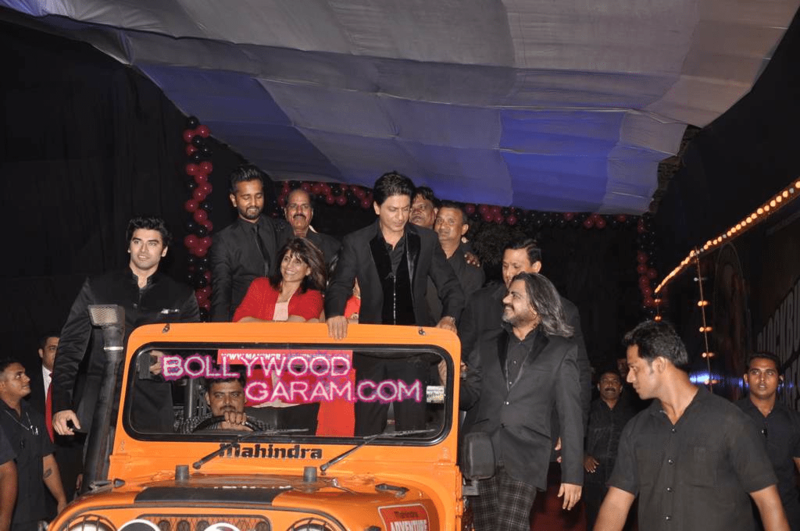 BollywoodGaram.com: On August 22, 2013, Bollywood superstar Shahrukh Khan and director Rohit Shetty celebrated the success of their recently released movie ‘Chennai Express’. The success of the Bollywood movie was celebrated by the entire cast and crew with the only person missing from the bash was lead actress Deepika Padukone. So far, the movie has grossed Rs. 200 crore at the Indian box office and has been jointly produced by Shahrukh’s wife Gauri Khan and UTV. 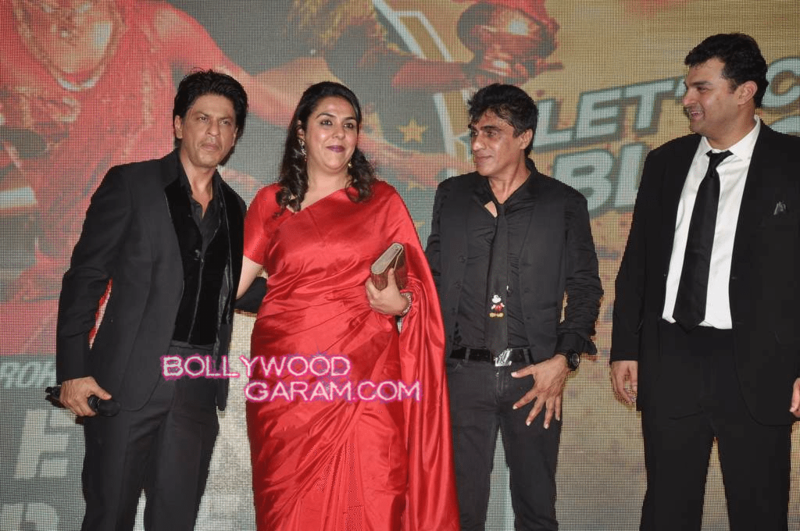 At the event, Shahrukh aka SRK looked dashing in a black suit and celebrated his joy by dancing with the whole crew. Deepika missed the event as she is holidaying with her family in Europe. Shetty’s ‘Singham’ also grossed more than Rs. 100 crore at the box office a few months ago. 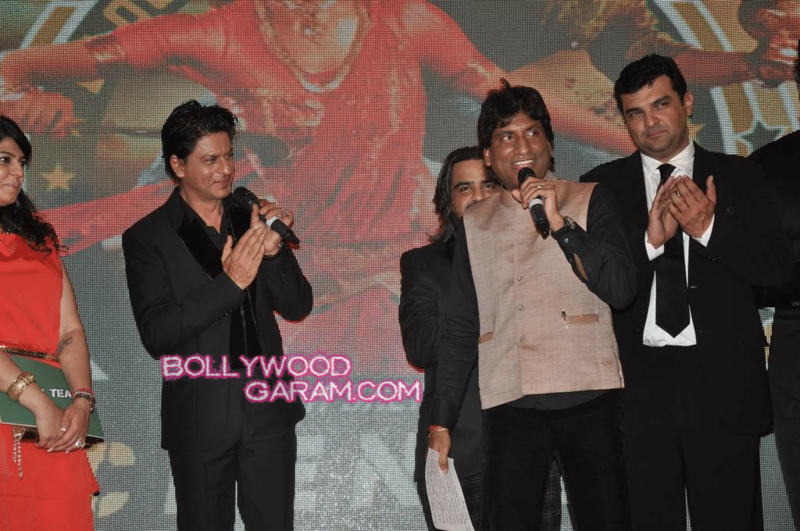 Exclusive photos of King Khan and the Chennai Express team at the success part bash. 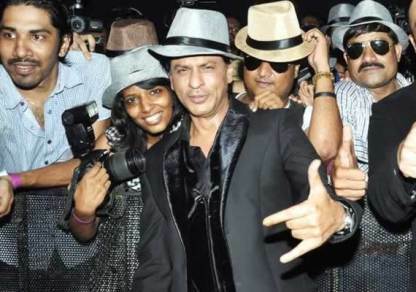 SRK even posed with all the photojournalists who turned up to capture the event.